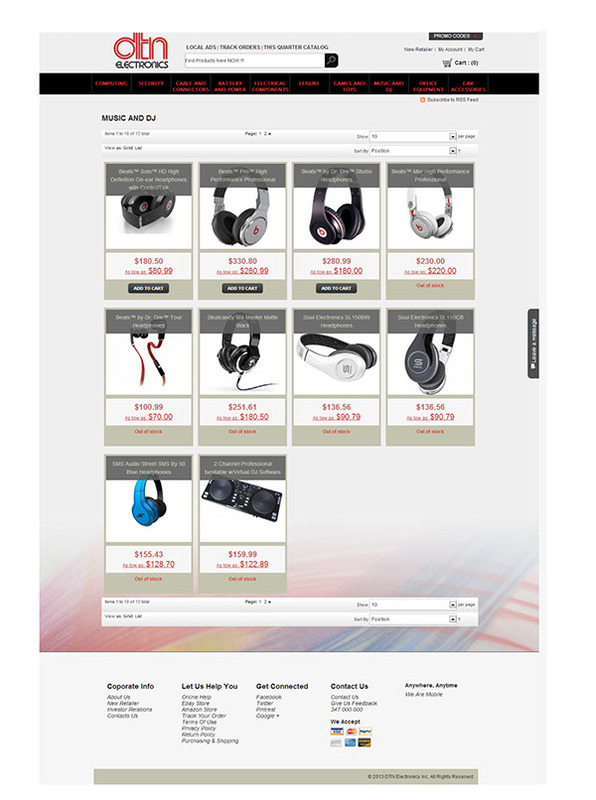 Tools used to build website: Google Chrome developer tools, Adobe Photoshop CS5.5, Notepad++, WAMP Server 2.2. 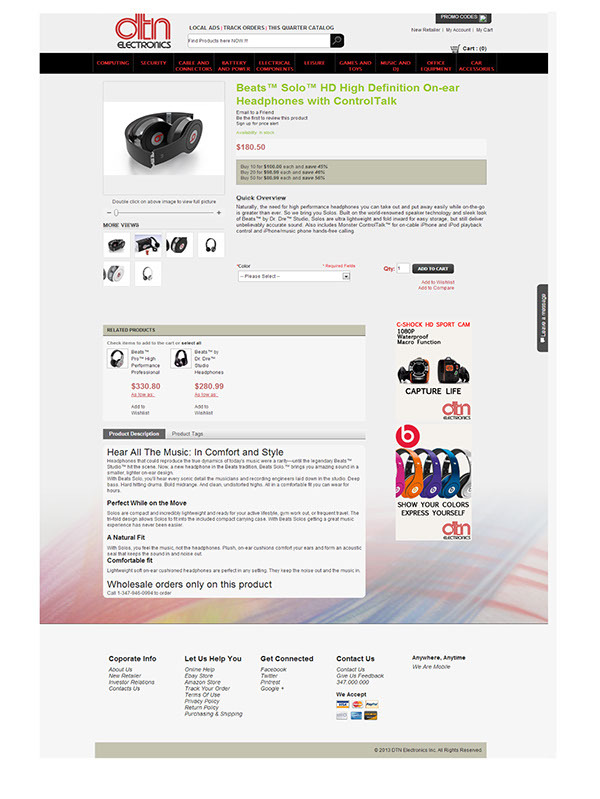 Tools used to put togethr portfolio: Adobe illustrator CS6, Adobe Photoshop CS6. 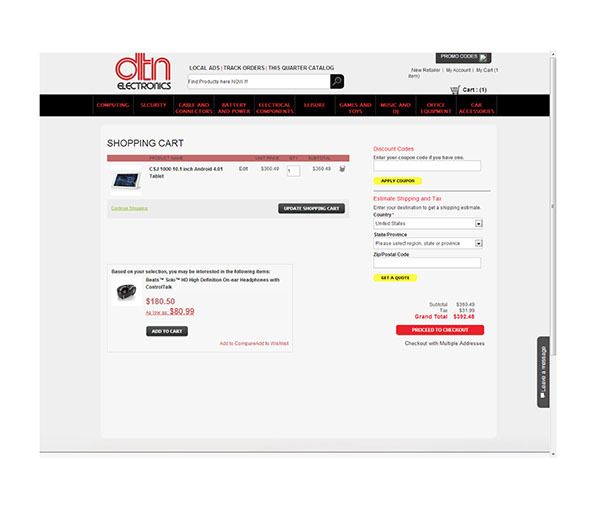 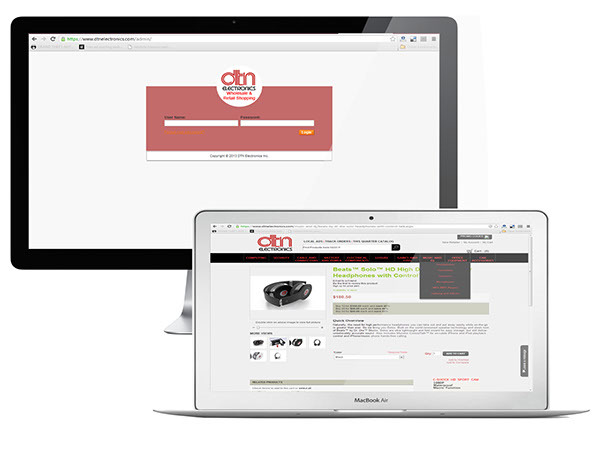 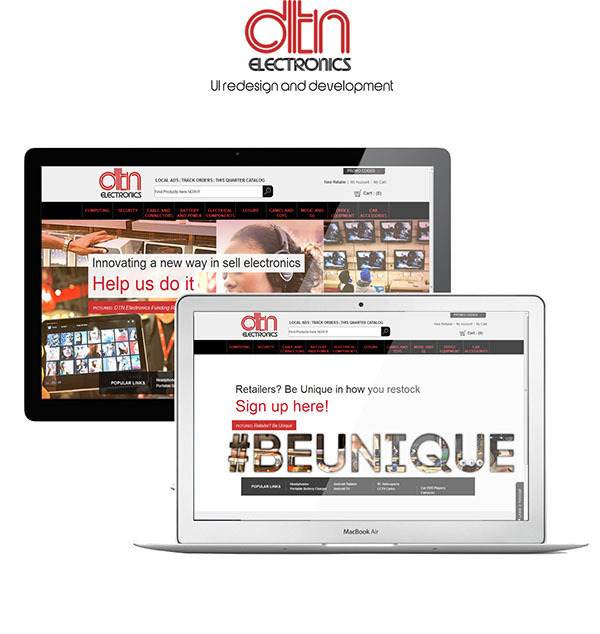 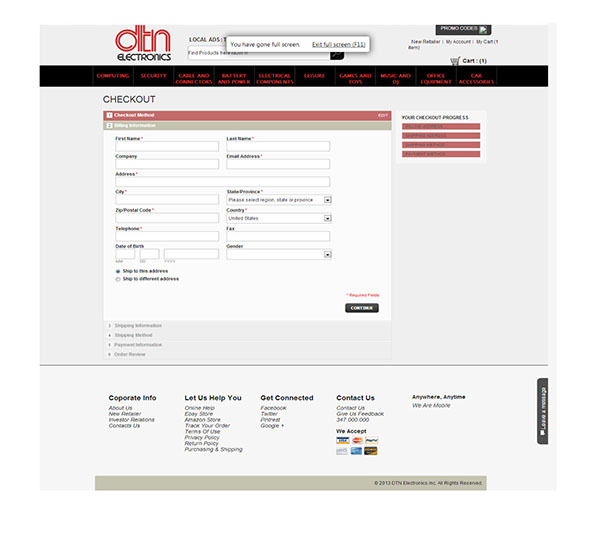 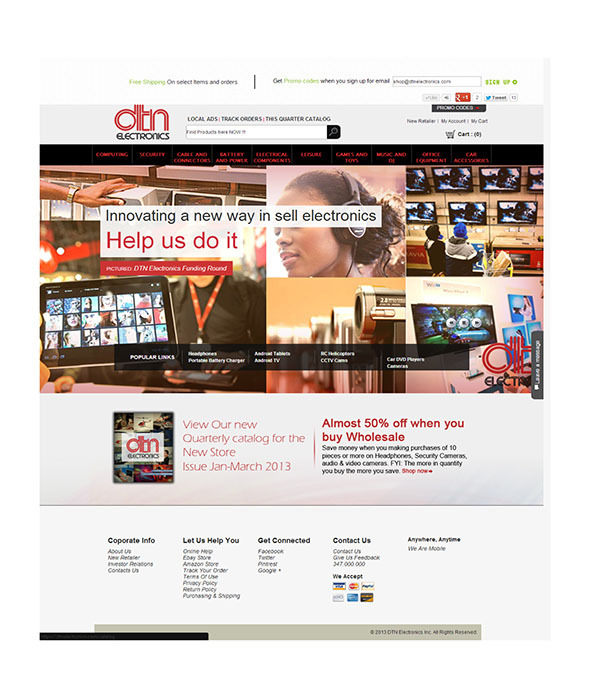 Looking to be the eCommerce department store of electronics, DTN Electronics website was built and designed to accommodate its ever expanding catalog in years to come. 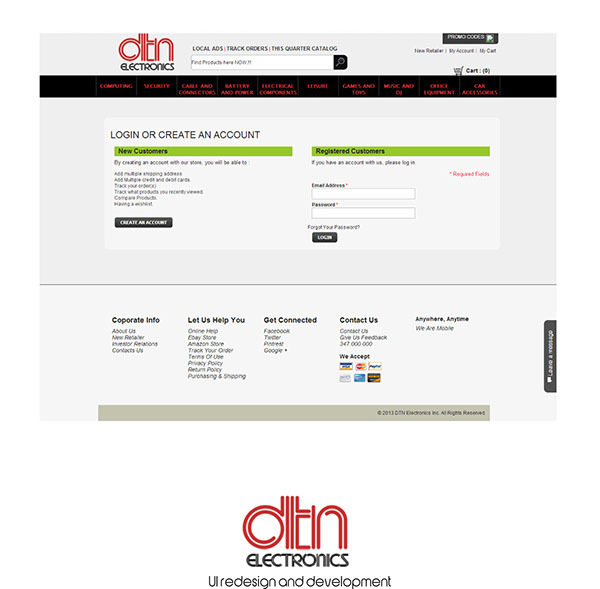 Look for branding projects in the matter of weeks.